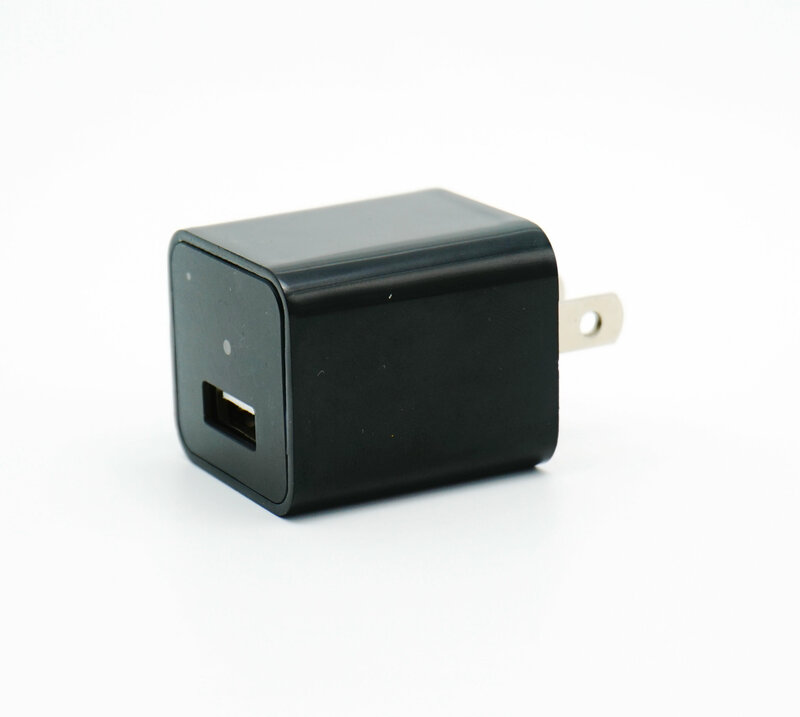 The AC15 is a hidden spy camera built into a USB ac adapter; it measures only 1.25” x 1.25” x 1.5”. It also functions as a real USB charger and can charge cell phones and other devices. Record HD 1080P video at 30 frames per second; it can also record in 720P or 480P. Record in continuous mode or motion activation to record only when motion is detected. 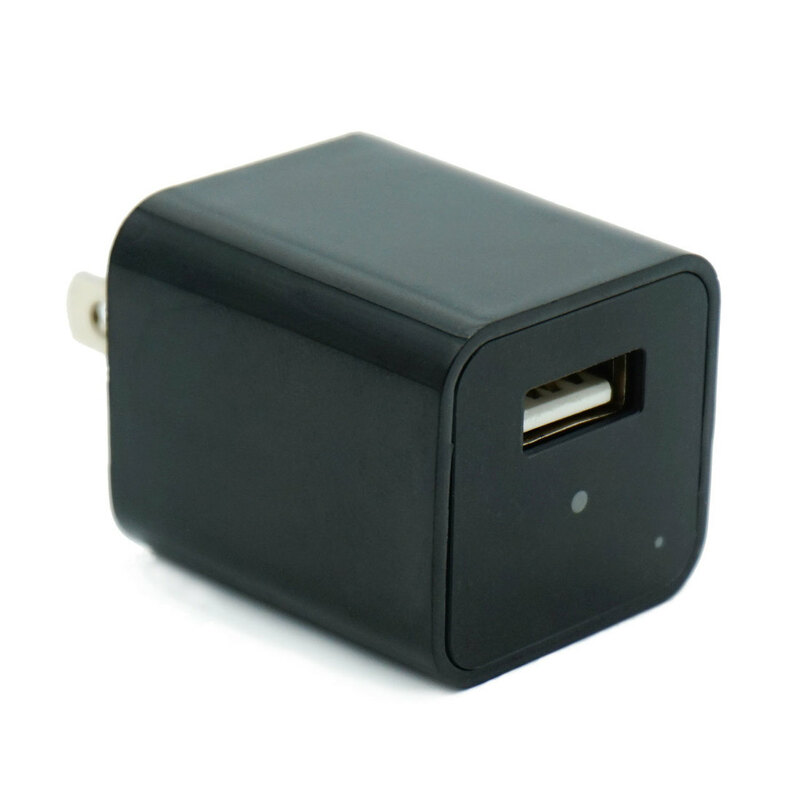 The AC15 is a hidden spy camera built into a USB charger; it measures only 1.25” x 1.25” x 1.5”. It also functions as a real USB charger and can charge cell phones or other devices. It records full HD 1080P video at 30 frames per second or in 720P. Record continuously or in motion activation to record only when motion is detected. It is super easy to operate, no buttons or switches to worry about; just plug it into any outlet and it starts recording automatically. Since it is ac powered, it receives continuous power making it a perfect 24/7 surveillance solution. Display the time and date on your videos so you know when each one took place (can be turned off). Footage is recorded to the fixed internal 32GB memory. The AC15 will loop record to ensure that recording continues even when the memory is fills up. To view & retrieve footage, simply plug it directly into your computer with the included cable. 26g | 1.25" x 1.25" x 1.5"
Record HD 1080P video at 30 frames per second; it can also record in 720P or 480P. Record continuously or in motion activation to record only when motion is detected. Functions as a real USB charger and can charge cell phones and other devices. It is super easy to operate, no buttons or switches to worry about; just plug it into any outlet and it starts recording automatically. Record over the oldest video files so recording is never stopped due to a full memory card.